THE NEW CYSTIC Fibrosis drug Kalydeco will now be made available to all CF patients in Ireland who have the gene mutation G551D from 1 March. The decision was announced earlier today by Minister for Health James Reilly after an agreement was reached with the HSE and the manufacturers of the drug. 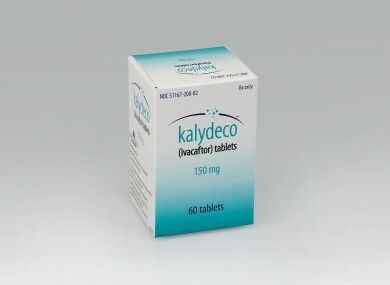 Earlier this month, the National Centre for Pharmaeconomics at St James’s Hospital said Kalydeco - or Ivacaftor, as it is also known – was too expensive at the current cost of €234,804 per patient per annum. CF is a progressive life threatening condition and Kalydeco will help prevent deterioration and maintain people with CF at their current level of lung function, the first of its kind in the world. The gene mutation G551D is a particular strain of CF, which affects approximately 10 per cent of the CF population in Ireland. It is estimated that approximately 120 patients will be suitable for treatment with the new drug. Fine Gael TD, Áine Collins said that this was a “life-changing event” for many people living with CF in Ireland, particularly her own family, as she has a child with CF. Personally it is huge news for my own family, as many of you will be aware that I have a child with CF. For years you always live in hope that a drug will come along that will make a huge difference and today it’s like all our hopes and dreams have been answered. Since I heard the news I have been so happy and full of hope as I am sure has every person with CF, every CF parent, friend and family member. Collins added that this drug is a “preventive” and as a result “will keep these CF sufferers out of hospital freeing up much needed isolated beds”. Email “Kalydeco to be made available to Cystic Fibrosis patients in Ireland”. Feedback on “Kalydeco to be made available to Cystic Fibrosis patients in Ireland”.